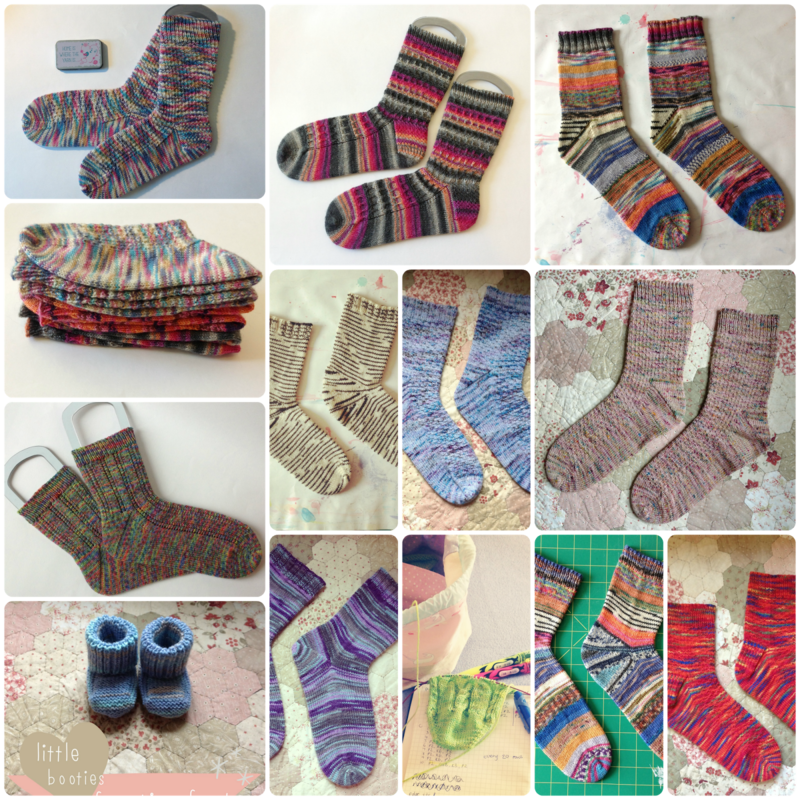 At the beginning of the year I made a plan to knit 6 pairs of socks. It then began to snowball becoming a plan to knit 12 pairs, then 13 pairs with one pair being handspun. Have I ever mentioned that I get slightly obsessed with things?!? ...and I've kind of made it! Here are the 13 pairs of socks I have knitted so far ..... but only 8 of them count!!! I'm so pleased I have managed to knit so many pairs already and I feel pretty optimistic that I will reach my 'real' goal, the only one I'm a little nervous about is getting the handspun ones done in time, I'd better get spinning!! So do you set yourself goals which seem to keep on growing? Did you set any goals for this year? How are they going?